At Dogs Helping Heroes, every stage of our process — from obtaining our dogs to placement with a hero — involves a vast network of support. While our goal is to help wounded heroes, our assistance goes well beyond that. We rescue dogs that were found abandoned or neglected, giving them a home and a purpose — basically a new lease on life. Inmates at local prisons undertake our dogs’ basic training, an arrangement that helps rehabilitate the prisoners by providing important job skills. During rescue and basic manners training, a number of dogs are singled out on the basis of certain characteristics and then sent to professional dog trainers for intense service-dog training. Upon “graduation,” the dogs are capable of performing everyday tasks for a hero, providing emotional support and help with mobility and stability, recognizing oncoming seizures, and more. Each animal is paired with a hero whose needs fit the skills of a particular dog. After private lessons with both the hero and dog, the hero is ready to begin living a more independent life. 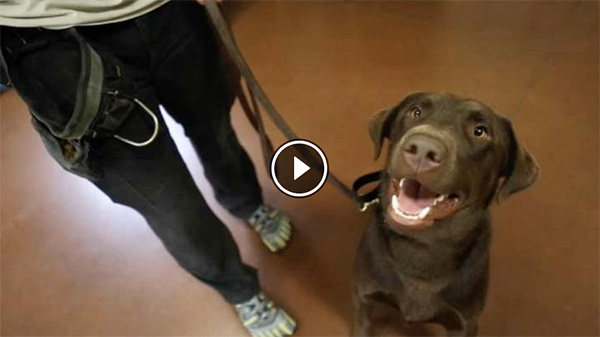 See how Dogs Helping Heroes restores lost freedom to our wounded heroes.